God is the sovereign creator and eternal ruler of all things and beings that exist, whether in the physical universe or in the spiritual realm (Heaven). Not only is God the creator and ruler of the things and beings within those two realms, but He is also the creator of the realms themselves. God created the physical universe, and before He acted in this creation, the universe did not exist. Likewise God did with the spiritual realm. Other than creation itself, God is revealed in several ways, including theological correlates, conscience, and special revelation (the Bible, and prophets). Most importantly though, God is revealed in Jesus Christ, who is the Son of God. The attributes of God are things that describe who He is. Similar to the way one might describe a close friend to another individual, so too do these attributes describe God's character and nature. Attributes of God include but are not limited to Wisdom, Infinitude, Sovereignty, Holiness, Trinity, Omniscience, Faithfulness, Love, Omnipotence, Self-existence, Self-sufficiency, Justice, Immutability, Mercy, Eternal, Goodness, Graciousness, and Omnipresence. These attributes all work in complete and perfect harmony with one another. God exercises eternal and righteous judgment of the wicked in hell, because of an inherent problem in the human heart, namely Sin. According to the Bible, the sacrifice of Jesus Christ on the cross of Calvary and then resurrection, is God's merciful and gracious response to the problem of the human heart. For a more detailed treatment, see Trinity. 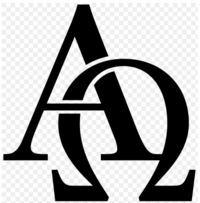 Although the Bible does not use the term, it is clear that God is a triune God, or three in one. These are sometimes referred to as God the Father, God the Son (Jesus), and the Holy Spirit. The first hint of the Trinity is in Genesis 1:26 which relates God saying, "Let us make man in our image", indicating that God is a plurality. This verse not only says that "the Word" (Jesus) is synonymous with God, but also says that the Word was "in the beginning", which means that He existed before all else existed, something that is only true of God. This is reinforced two verses later, in which Jesus is described as the creator. Genesis refers to God as being the Creator. For a more detailed treatment, see omniscience. Because God is outside of time, He can see and knows the past and the future as well as the present. God the Father by Jose Maria Velasco (1840-1912). Notice how in each case, "Father" can be substituted for "God." For example, "For the Father so loved the world, that He gave His only begotten Son," and "not that we loved the Father, but that He loved us and sent His Son." The Bible uses several different words to refer to God. "God" itself is not a name, but an Old English word meaning supreme being, deity, which the translators who translated the Bible in to English chose as the appropriate English word for the Hebrew elohim and the Greek theos used in the Old Testament and New Testament respectively. The other main term for God is the Hebrew adonai, usually translated Lord. There are various compound words also used in the Bible, such as el shaddai, which means God Almighty ("el" is a short version of elohim). YHWH is given in the Bible as God's actual name. In most English Bibles it is translated as Lord, in small capitals. The name has various other English versions, including Yehovah, Jehovah, and Yahweh. Christ in the Garden of Gethsemane by Heinrich Hofmann. ↑ God Online Etymology Dictionary. ↑ 3.0 3.1 Kruse, Dale P.,More on the Names of God In the Bible, Advanced Training Program of Evangelism. ↑ McHyde, Tim, God’s Name: LORD, Yahweh, Yahveh, YHWH, YHVH, Jehovah or Yehovah? This page was last modified on 19 April 2019, at 17:27. This page has been accessed 335,031 times.